This 5 piece stackable & nestable bowl set makes the perfect addition to any kitchen. Each colorful bowl comes with its own lid to keep food fresh. Dishwasher and microwave safe. 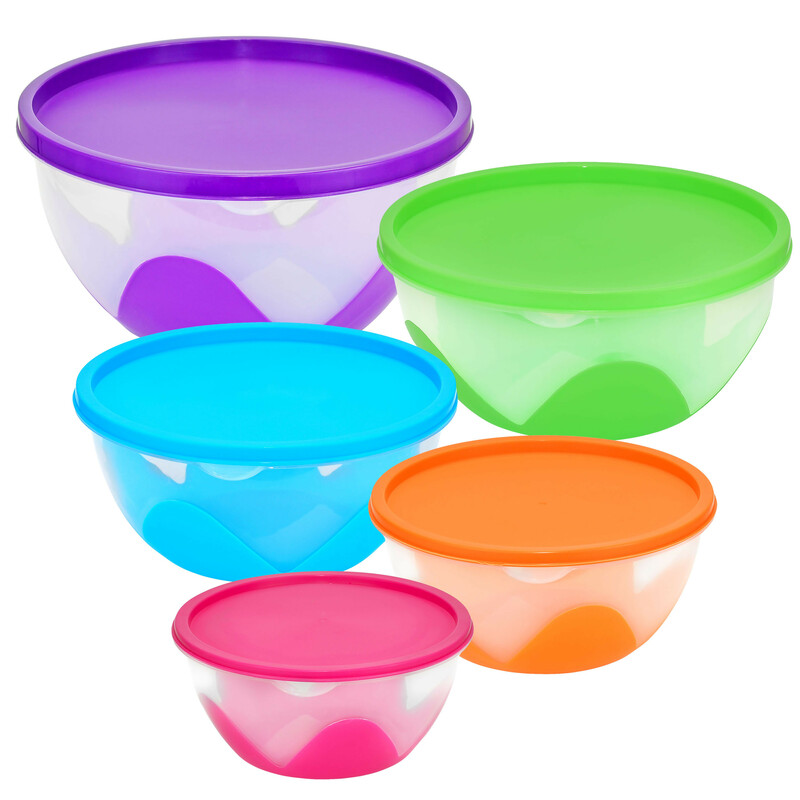 Bowl sizes included in the set are: 0.6QT (Pink), 1QT (Orange), 1.25QT (Blue), 1.8QT (Green), and 2.5QT (Purple). Bowls are made from Plastic with Silicone lids.